Today was a very chilled out day. 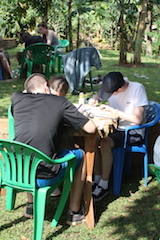 After a relaxing morning we all went on a walk to the tea plantation led by our John. 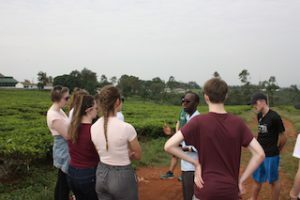 It was really interesting and John gave us an insight into the tea plantation as he grew up there from early childhood. It was eye-opening to see how the people working there live, and how little they get paid. When we returned to John’s dads house we had lunch consisting of Spanish omelet and beans. 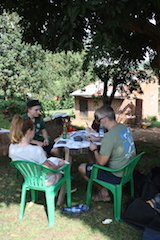 After lunch we helped Earnshaw plan for our lessons which we are doing at PEAS school tomorrow. We each had to copy a list out 42 times, it was tiring but will be worth it. We also recorded video journals this afternoon. 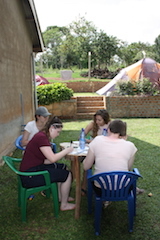 For tea we had chips, chicken and rice, and then we all gathered around outside for tonights debrief. 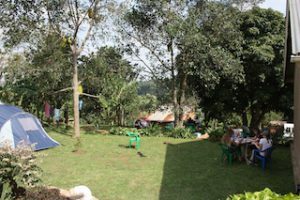 We discussed about the trip may make us view things in a different perspective when we are back home, and it was interesting to hear how we are all feeling about going home, and having to leave Uganda. Hi everyone camping never looked so good:)) We have really missed reading your blog this last few days. Bacon butty will be cooked for you on Thursday Eve!! Glad you all enjoyed camping and are making the most of the last few days. We are all missing you like crazy at home and am sure a few parents may shed tears at the airport on Thursday. Breaking news Katie…….Owen Coyle has gone!! Vamoosh!! Managerless again!!! Hi all. Hope you are all well & had a great time camping…the photos are good. 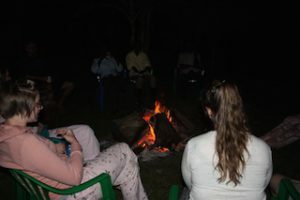 Nice to see you relaxing around the campfire! Hope your lessons at PEAS school went well. You continue to do a fantastic job. 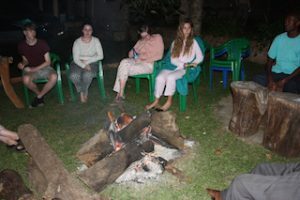 This is a trip that you will all remember forever and you will leave a lasting impression on the children you have met. Enjoy the rest of your time there and have a safe trip home. 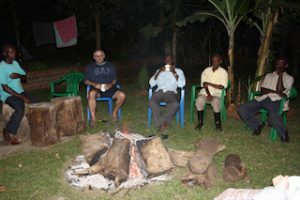 Am sure you’ll return with lots of memories and a little piece of Uganda in your hearts. Becci, we have missed you so much and can’t wait for you to come home and tell us all about what you’ve been doing. We are so proud of you and love you lots. Hope this doesn’t reduce you to tears again!!? ?Hard not to read the blogs and all the comments without a lump in your throat!! There may well be tears at the airport!!! Ps TWD is waiting for you.